Courtesy of Sundance Institute | photo by Jim Judkis. Mr. Rogers’ Neighborhood made its national debut on February 19, 1968. It ran for more than 30 years, producing more than 900 episodes that defined multiple generations of children’s television. It was a low budget children’s show about an imaginary neighborhood filled with simple hand puppets and, at the center of it all was Fred Rogers. Directed by Morgan Neville, the Oscar winning director of 20 Feet From Stardom, Won’t You Be My Neighbor is a look at life of Fred Rogers and an attempt to evaluate his legacy, both on popular culture, and our nation as a whole. Grab your Converse and cardigan. And maybe a box of tissues. It’s difficult to talk about Won’t You Be My Neighbor without talking about what the film is not, which is a hard-hitting expose. To say that it’s a biopic doesn’t feel right either. Neville doesn’t provide a particularly deep portrayal of Fred Rogers’ personal life. His private life is only ever discussed peripherally by his wife and sons, one who mentions that it was difficult being raised by ‘the second christ’. Those hoping for a peak at the dark, gritty reality behind ‘The Neighborhood’ will likely be disappointed. It doesn’t seem like there’s much of Fred Rogers that was left behind the curtain, he put almost all of himself into the show. 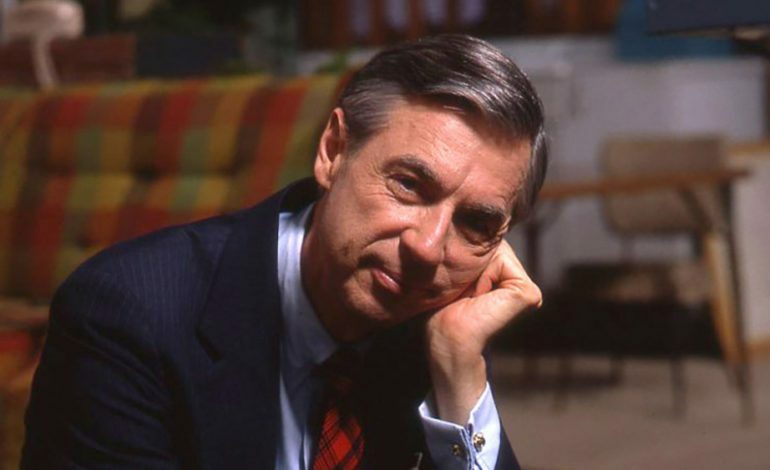 Mr. Roger’s Neighborhood was the result of Rogers’ lifelong passion for children’s education and a desire to make a show that didn’t talk down to kids or bombard them with loud noises and flash. The show took its time, delighted in silence, relied only on the cheapest of sets, and centered around an unlikely host. A producer once said that “if you take all the elements that make up good television and do the exact opposite, you have Mr. Rogers’ Neighborhood.” And yet, the show struck a chord with children almost immediately. Back when the show was still on a local Pittsburgh station, the producers arranged a Mr. Rogers day at the studio and were unprepared for the blocks of people who lined up to meet him. What made the show such a success was Rogers’ understand that children’s feeling were just as deep as adults’ and that you didn’t need to shy away from complex or complicated topics. Mr. Rogers covered topics ranging from war, poverty, inequality, divorce, assassination. In the show’s inaugural episode, King Friday the XIII erects a wall around the kingdom because he fears change. We were teaching our children about the short-sightedness of building barriers nearly 50 years before Trump started calling for his border wall. Neville hits this point particularly hard, because it is such a particularly clear distillation of the nagging question hanging over Mr. Rogers’ legacy: did it really matter? Rogers preached about peace and togetherness and about treating everyone as your neighbor, but now that the generations that watched his show as children are grown up, our nation is as divided as it’s ever been. Neville directs our attention to Wall Street Journal articles and Fox News pieces that decry Frank Rogers and evil man who ruined a generation by telling all children that they were special, using arguments that spectacularly miss the point. At his funeral, he was protested by men, women, and children upset that he was tolerant of the gay community. Rogers said “Love is at the root of everything… Love or the lack of it” and it’s hard not to feel like a lot of our relationships today are based on the lack of it. Does that mean that Frank Rogers and his neighborhood didn’t matter? I don’t think so, and neither does Neville, but you can decide for yourself. If there’s an argument to be levied against Won’t You Be My Neighbor, it’s that the film can come across and an unabashed love-fest. And with few real exceptions, it absolutely is. But is that such a bad thing? Is it a bad thing to take 90 minutes to celebrate someone who celebrated kindness and compassion? Won’t You Be My Neighbor isn’t a gritty expose, but if that’s the kind of thing you’re looking for, you might want to ask yourself why? For the rest of us, Won’t You Be My Neighbor is exactly the kind of documentary we need right now.